Get Out Of A Tough Financial Jam By Applying For A Bad Credit Car Loans Prince Edward Island! Everybody faces hard financial times at one time or another. This is a time when getting financial aid from anywhere and from anyone can be a huge relief. Nowadays getting money from family and friends isn’t always an ideal option as it can lead to family problems. Luckily, there are other loan options that can help you get back on your feet. Bad Credit Car Loans in Prince Edward Island by Equity Loans Canada is one of the best options for you. 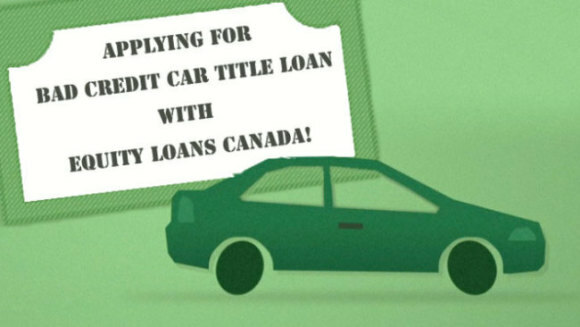 Bad Credit Car Title Loans by Equity Loans Canada lets you borrow money in exchange for the title of your vehicle. The amount you get totally depends on the value of your vehicle. Using your vehicle as collateral is a smart move as you get the cash instantly and you get to keep your vehicle during the loan period and use it as you normally would. The interest rates on bad credit car title loans by Equity Loans Canada are much less than any other kind of loan such as a pawn loans etc. We don’t make you fill any unnecessary documents. Only basic and essential documents are required by us to fill and you get approved within minutes of applying. You get your cash within hours of your loan approval making it. The team at Equity Loans Canada has a lot of experience in the field and will do everything in their power to make sure that you get a loan with us. If you live in Prince Edward Island, you can easily get approved for a Bad Credit Car Title Loan with Equity Loans Canada. All you have to do is either apply online or give us a call (toll-free) +1-877-991-8773.